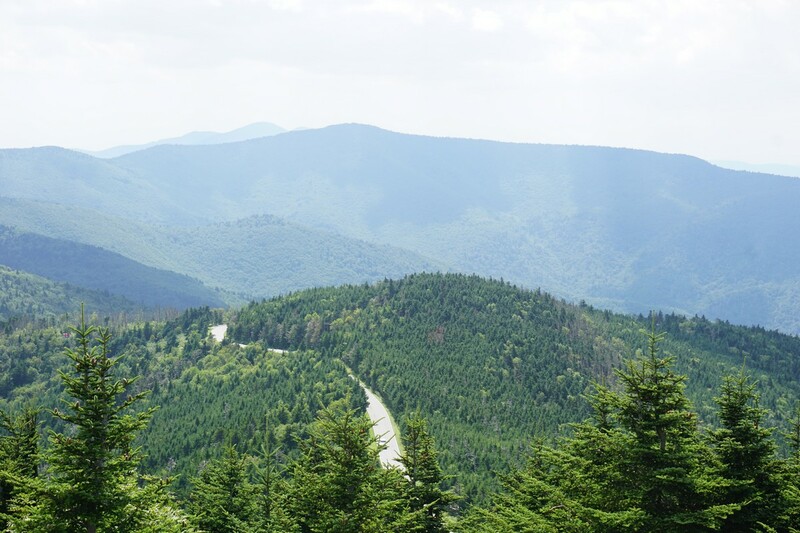 I travelled with my family on a camping trip to North Carolina, where we experienced the eclipse. 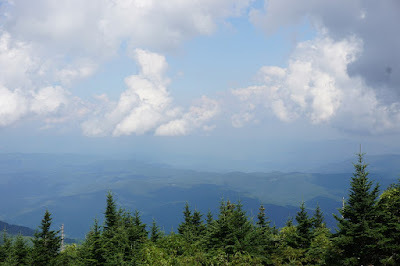 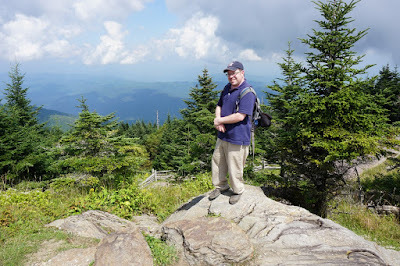 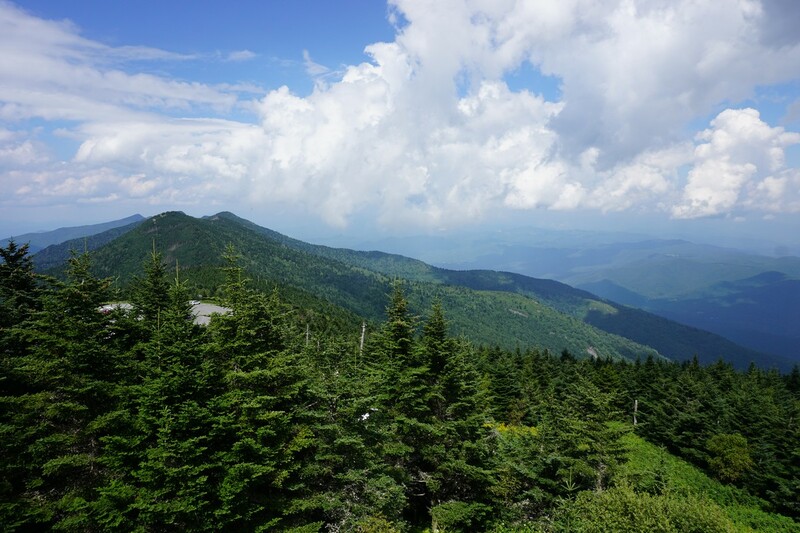 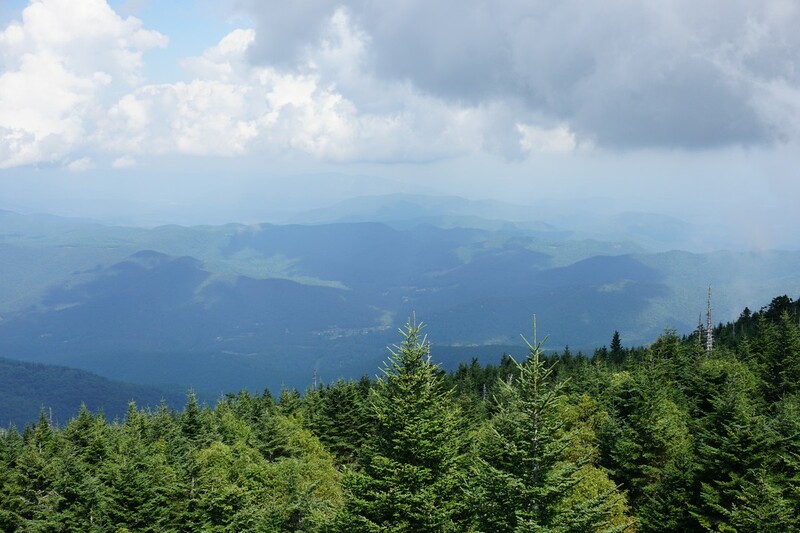 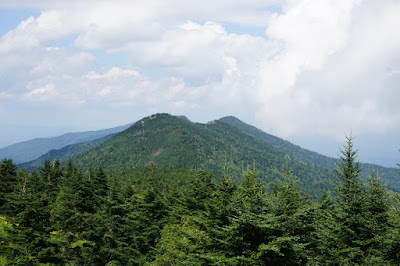 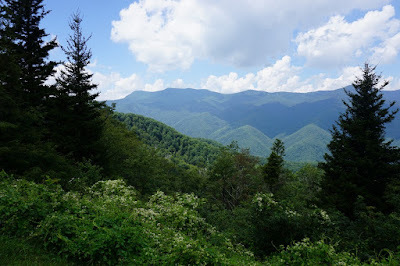 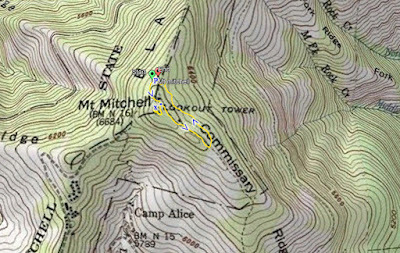 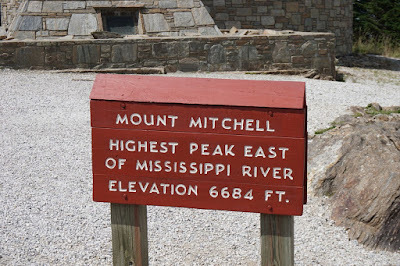 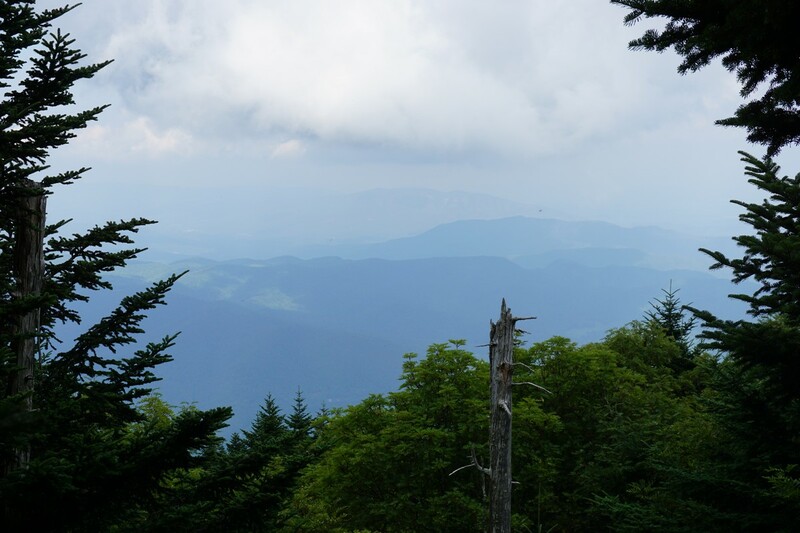 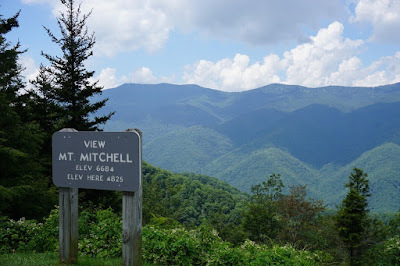 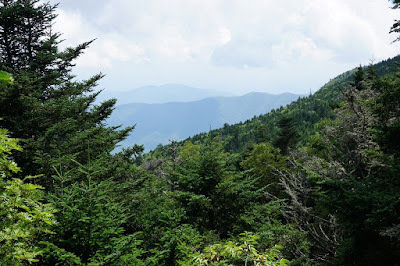 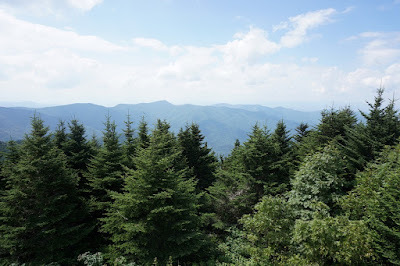 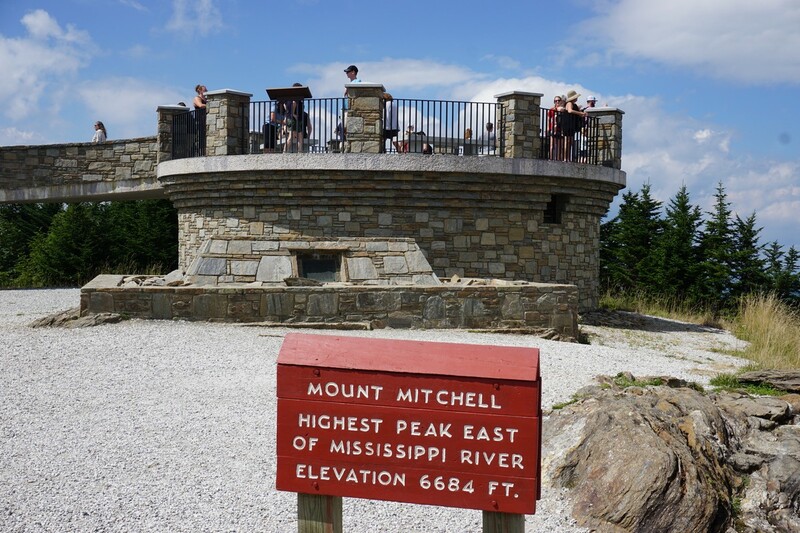 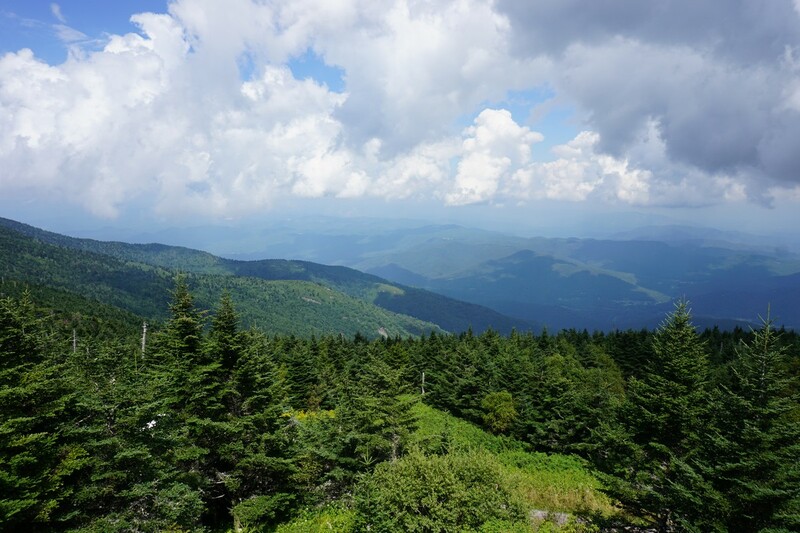 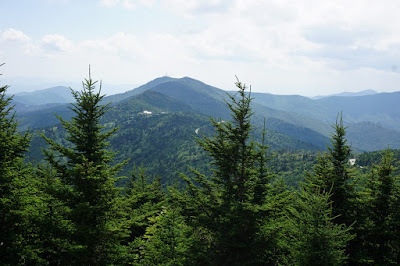 We were in Old Fort, near Mount Mitchell, the tallest mountain in North Carolina, and the tallest mountain in the Appalachian Mountains and in the eastern United States, at 6684 feet. There is a road that climbs all the way up the mountain, near the summit. 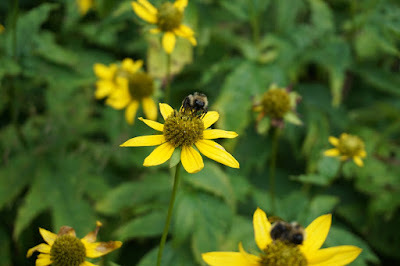 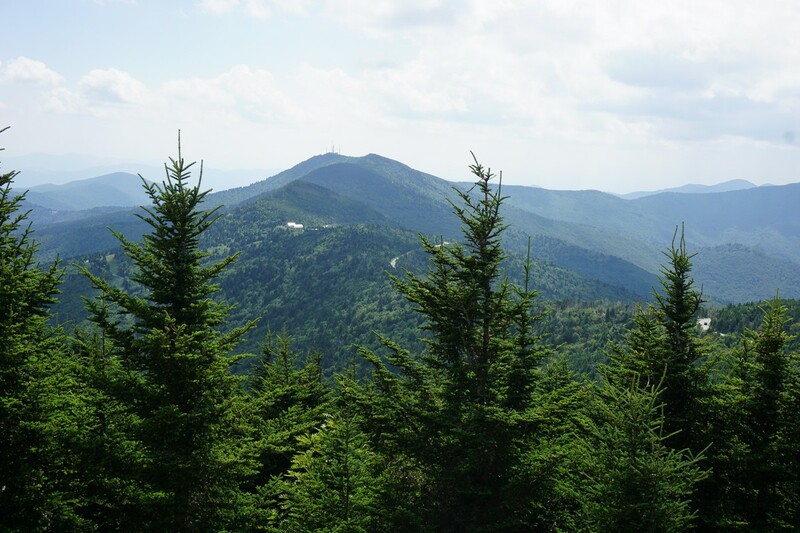 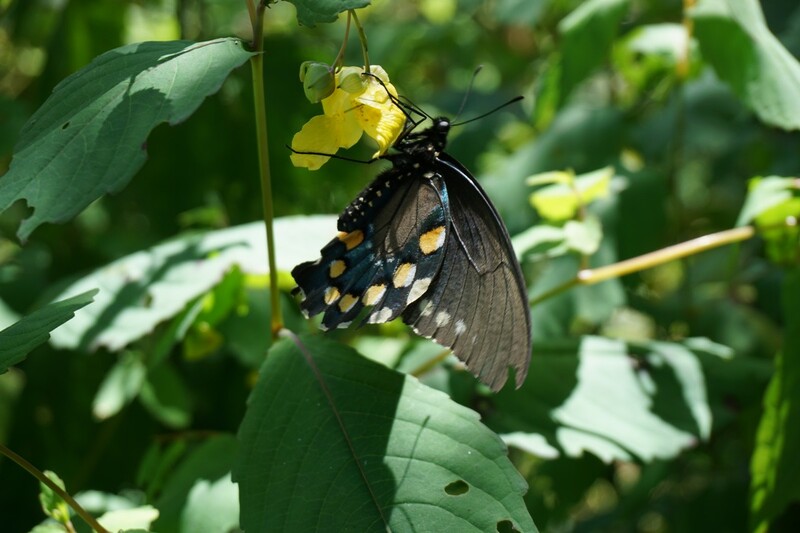 It is a fully paved road off the Blue Ridge Parkway, with a parking lot and short paved path to the very top. 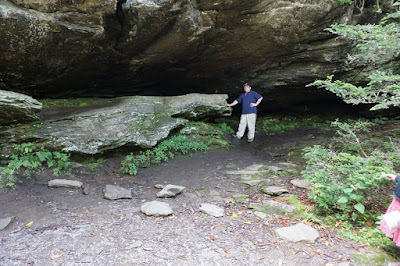 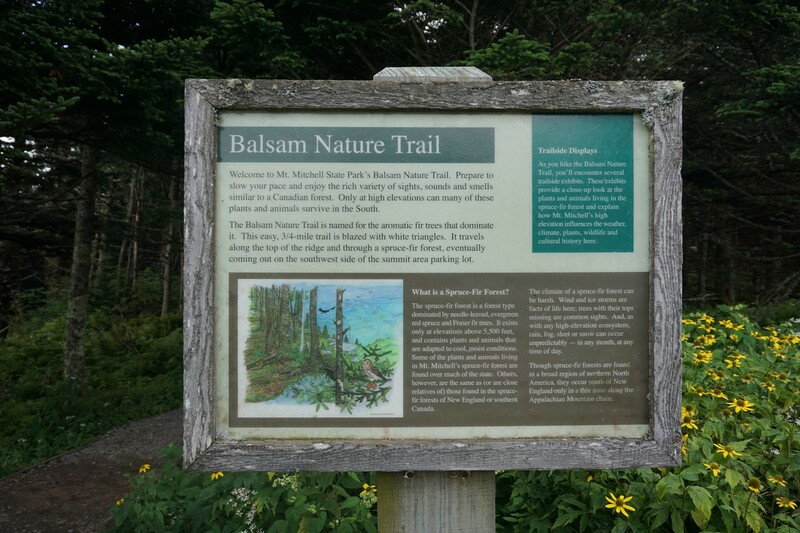 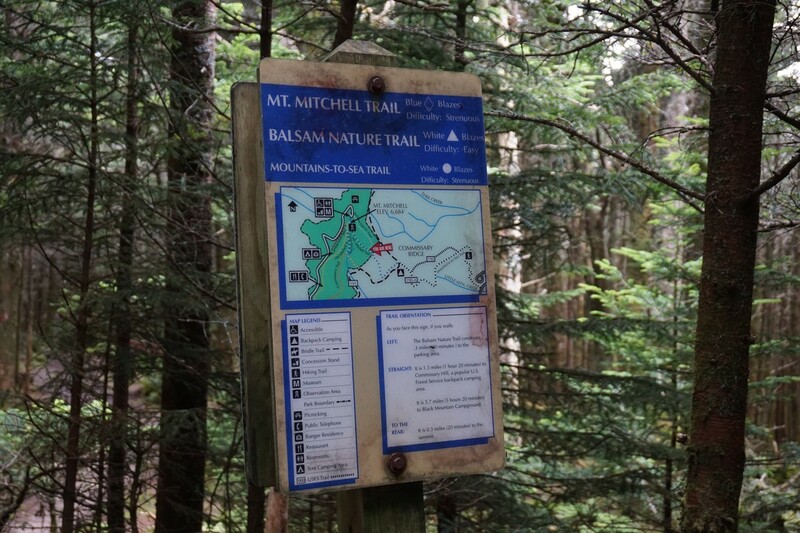 There is also a short 3/4 mile trail in the summit area as well traversing a Balsam Fir forest with some interesting geology. 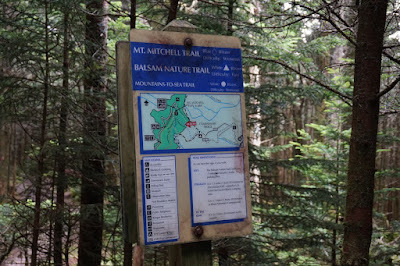 We parked at the parking area at the top, took the paved path to the top, and then took the Balsam Trail loop back to the parking lot. This is a very short and easy hike considering the scope and height of this mountain. The weather at the bottom was very hot, in the low 90's. 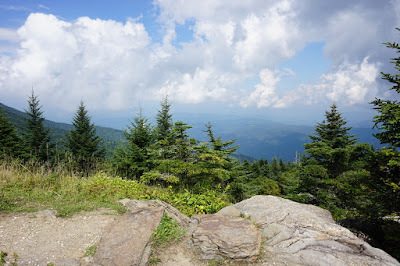 As we climbed the weather decreased, until at the summit it was a very comfortable and sunny low 70's.